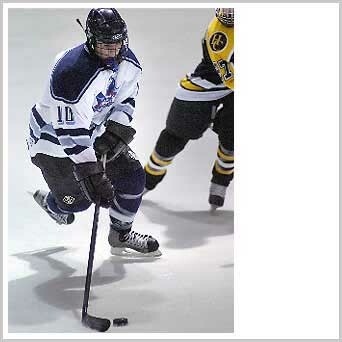 Sophomore forward John Passantino gains control. 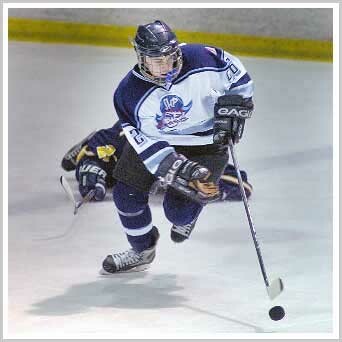 Junior Rich Carelli crosses over and changes direction. 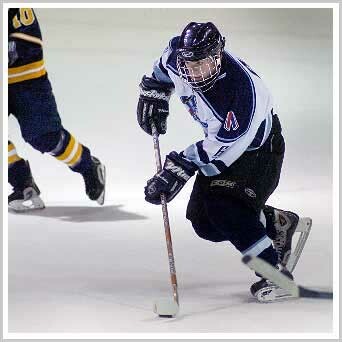 Sophomore defenseman Tim Margiotta looks up ice to deliver a pass. 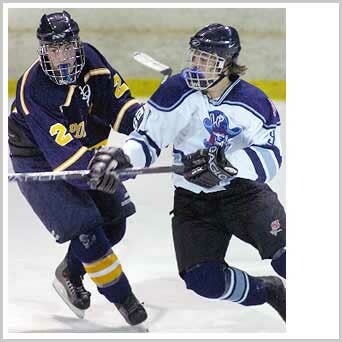 Junior forward Gerhard Buehning skates adjacently to a foe. 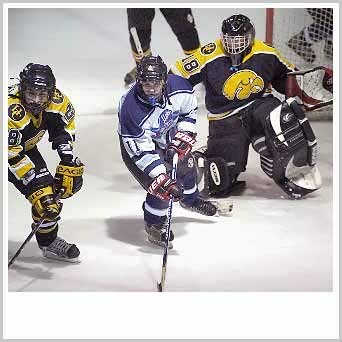 Senior goaltender Billy Graul kneels down to stop a shot as defensemen Justin Rohr and Matt Kufta quarantine the traffic in front of the net. Billy Graul closes up the five-hole in a hurry! 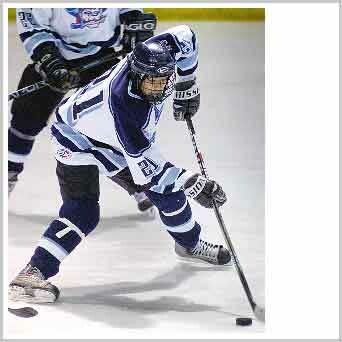 Sophomore Mike Tahan switches to the backhand. 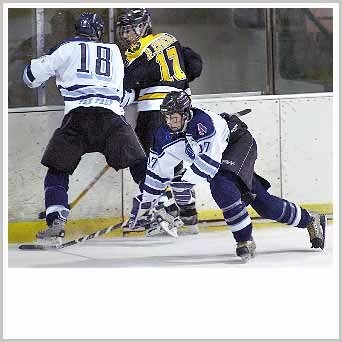 Freshman forward Chris Preziosi goes horizontal over a defender's stick. 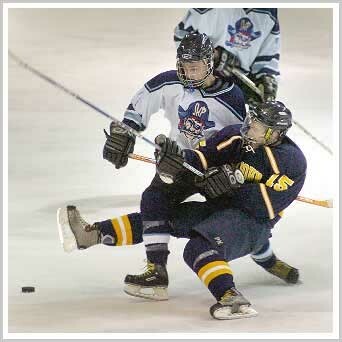 Freshman defenseman Justin Rohr shakes down an opponent. 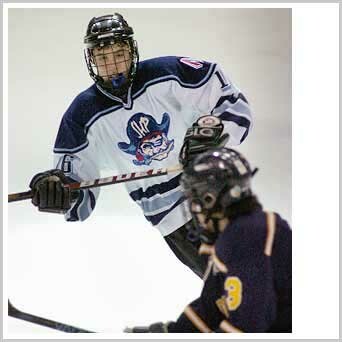 Junior Matt Markovich blazes past a defender! 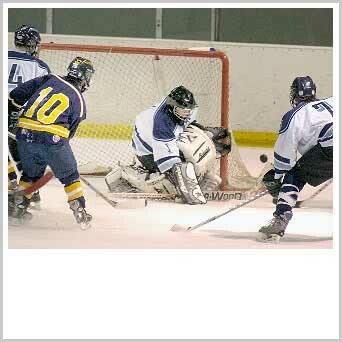 Senior goalie Kevin Bendel focuses on the puck. 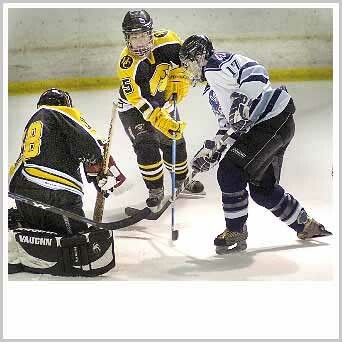 Senior Mark Karinja ties up an opponent along the boards as junior Co-Captain Rem Vanderbeek reaches for the puck. John Passantino waits on the doorstep for a rebound. 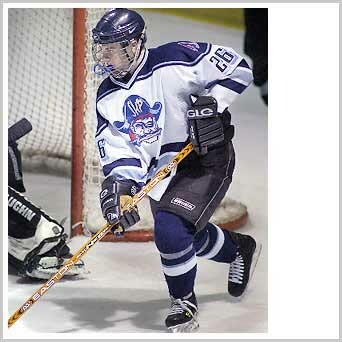 Junior forward Jan Trampota shoots at the open net. Rem Vanderbeek pokes the puck home for a goal. 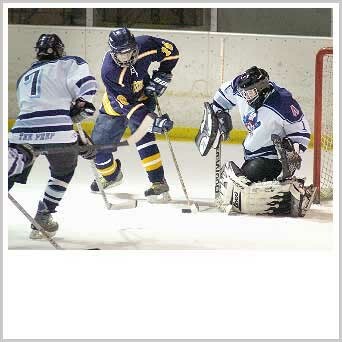 Junior Co-Captain Mike Cacciotti calls for the puck in front of the cage.